Admissions Open at University of Karachi's Main Campus Karachi for the batch Spring 2019. UOK offers admissions in different fields of study for Bachelor Programs. 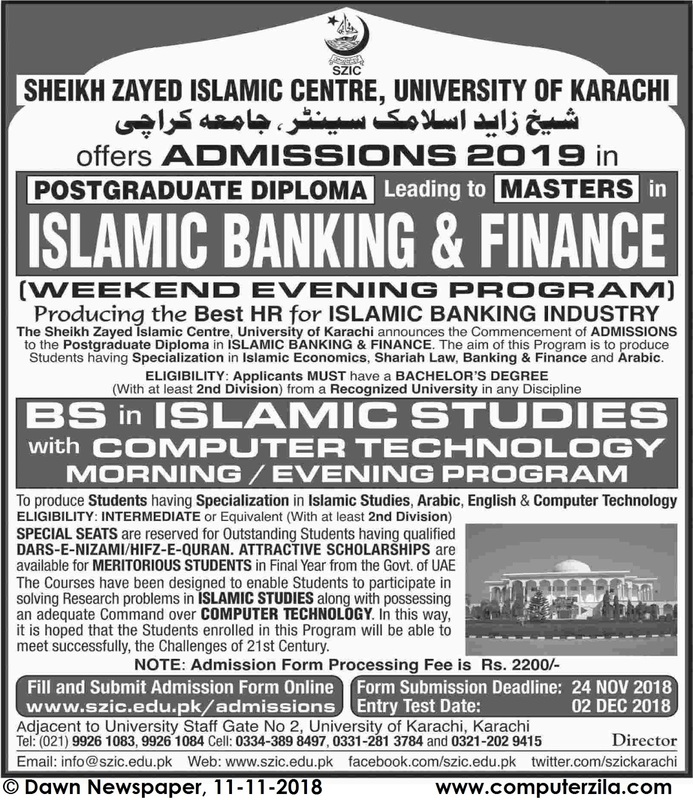 Sheikh Zayed Islamic Center, University of Karachi (UOK) Offers Admissions 2019 in BS.